Maryland. George once again finished another season undefeated in the prep 800 and was crowned the MHSAA State 400 and 800 Meter Run Champion. His junior year was just as successful as he captured major wins at the Shreveport Meet of Champions and the Golden South Classic. George also represented the United States on the US Junior National Team in the World Junior Championships in Athens, Greece. Other achievements include being named "All American" and finishing in the top five for the highly competitive National High School Track & Field Athlete of the Year Award. 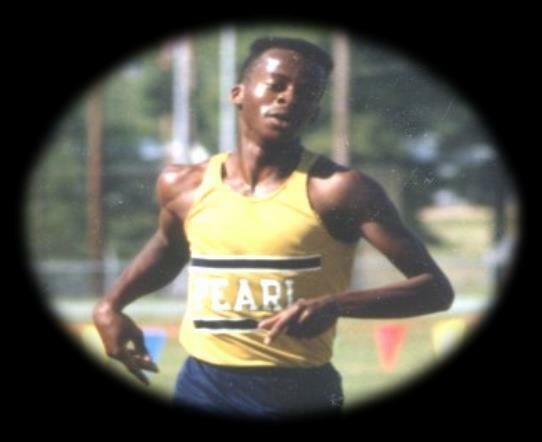 George went on to set three national high school records during his senior year in the Indoor 800, the Indoor 1000 and the Outdoor 800. In setting the National High School Outdoor 800 record of 1:46.58, he became the very first high school athlete to break 1:47.0. State University's (MSU) track team, Kaelin helped capture first place at the Distance Medley Relay at the 2016 Alabama Relays. She was a vital part of the most successful era of MSU Women's Track & Field. On May 5, 2017, celebrations and congratulations were in order as Kaelin graduated with a bachelor's degree in Kinesiology and Health Fitness Studies from Mississippi State University's College of Education. However, not even two days later, her bright, beautiful life was tragically ended in a car accident. 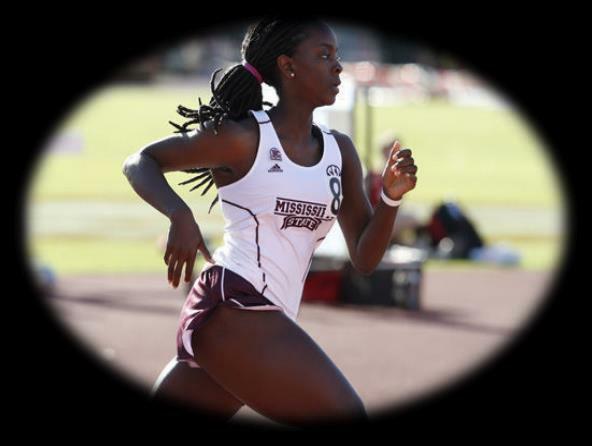 In her memory, The Kaelin Kersh Memorial Endowed Scholarship was established at MSU to assist female student athletes on the MSU Track and Field team, and candidates for the award must demonstrate academic achievement and leadership qualities within the team. The perpetual support generated through the endowment will ensure that many future generations of Bulldogs can benefit from the scholarship award, while carrying on the legacy of the girl with the infectious smile. Tonight, we pay tribute to whom many experts agree is the greatest high school 800 Meter runner of all time and his beloved daughter, Kaelin. Tonight's races will consist of some of the BEST 800 meter runners from the states of Alabama and Mississippi. When a group like this gets together, great things happen! Expect great races and fast times!!! Wayne Carter is a senior at Hattiesburg High School. Wayne competes in the 800m, 1600m, 4 x 400m relay, and 4 x 800m relay. He has a personal best of 2:01.79 in the 800m. He was a member of Hattiesburg High School's 2018 5A state championship team. He finished fourth at state in the 800m in 2018. He is currently the number one ranked 800m runner in 5A. Preston Burks has been a part of Hernando Cross Country and Track all 4 years of high school. In addition to his success for the high school, he has competed in the AAU indoor and outdoor seasons each of those 4 years. His personal bests are 2:00.78 in the 800m and 4:34 in the 1600m races. In his senior year of running, he is competing in the 800m, 1600m, and 4x400m relay. He has signed with the University of Southern Mississippi to compete in Track and Field in the upcoming year. Christian Nichols is a senior at Hewitt-Trussville High School. Christian competes in the 400m, 800m, 4x800m relay and 4x400m relays. Christian has been part of four All-State 4x800m relays. He was instrumental in leading his team to a 3rd place finish at the state indoor championships in 2019. He was part of the All-State 4x400 and 4x800m relays at the 2018 Outdoor State Championships. He has a personal best of 2:00.87 in the 800m run. Christian is very honored to be selected to run the 2019 George Kersh 800m race. Brock Kelly is a junior at Tupelo Christian Preparatory School. He is the 2018-2019 Gatorade Mississippi Boys Runner of the Year for Cross Country. He is a four time MHSAA 1A All-State Cross Country runner and the 2018 MHSAA 1A Cross Country State Champion. Brock ran the fastest overall time at the MHSAA Cross Country state meet in 2018 with a time of 16:33. In Track, he has won the 1A 3200m, 1600m, 800m and anchored the 1A state record setting 4 x 800m relay team at the 2018 MHSAA state Track meet. His personal best in the 800m is 2.01.57. Jordan Shannon is a senior from Clinton High School, and a three-year letterman in Cross Country and a four-year letterman in Track. During his sophomore and junior year, Jordan made the Region 2-6A All- Region team in Cross Country and has a personal best of 17:45.23 in the 5K. This past indoor season, Jordan ran a 2:03.26 at the Last Chance Invitational in Birmingham. For outdoor season, Jordan placed 2nd in the 800m at the 2018 State Track meet. His personal best of 1:59.23 was set last season at the 6A North State Championships. Jordan is also a member of the 4x800m relay & 4x400m relay teams. Jordan is very grateful to be selected to run in the 2019 George Kersh 800m Run. Patrick Spurgeon is a senior at Pearl High School and is a three-time Cross Country All-State competitor. Patrick has a personal best of 16:40 in the 5K, and he is also a member of the state record 4x800m relay team that boasts a time of 8:08 last year. Patrick has a personal best time of 1:58 in the 800m, and he also runs the 1600m with a personal best time of 4:33. Charles Wesley is a junior at Terry High School. He runs the 800m and a part of Terry's 4x400m relay and 4x800m relay. Charles' personal best in the 800m is 2:00.53. Charles is a leader on the Terry High School team. He's a good kid with good grades and plans to run on the NCAA division 1 level this upcoming Fall. Katelyn Cartwright is in her 3rd year of running for Hernando High School. She runs both Track and Cross Country for the school. During her running career, she has won 2 Individual State Championships in Cross Country, and she won the state title in the 800m, 1600m, and 3200m in the 2017-2018 season. Her personal bests include 2:20.48 in the 800m and 5:16 in the 1600m. As a senior, she is competing in 800m, 1600m, 4x800m relay and 4x400m relay. Next year she will be running for the University of Southern Mississippi in both Track and Cross Country. Jordan Conner is a senior from Clinton High School that is a two-year letterman in Track. She competes in the 800m, 4x800m relay, and 4x400m relay. Her personal best in the 800m run was set earlier this year at the USM High School Invitational with a time of 2:23.72. Last outdoor season, Jordan placed 2nd in the 800m at the 2018 State Track meet. Jordan is very honored to be selected to run in the 2019 Kaelin Kersh 800m Run. Zoé Gorden is a freshman from Clinton High School that is a three-year letterman in Track. She competes in the 400m, 800m, 4x400m relay, and 4x800m relay. Her personal best in the 800m run was set this past week at the Ole Miss High School Invitational with a time of 2:28.86. This past indoor season, Zoé ran 2:29.33 at the Last Chance Invitational in Birmingham. Zoé is very honored to be selected to run in the 2019 Kaelin Kersh 800m Run. Thalia Justo is a junior at Southaven High School. This year Thalia has taken roles in the 800m, 1600m, 4x400m relay, and 4x800m relay. Thalia holds a personal best of 2:26.78 in the 800m, which is a school record along with helping the 4x800m relay team to a school record as well this year. Thalia is extremely honored to be a part of the 2019 Kaelin Kersh 800m Race. Savannah McIntosh is a junior from Madison Ridgeland Academy and is a workhorse on the track, competing in 6 events including the 3200m, 1600m, 800m, 4 x 800m relay and 4 x 400m relay, and she also pole vaults. In 2018, she was the MAIS AAAA State Champion for 800m (2:22.4) and 1600m (5:26) and has a personal best in the 3200m of 11:55. Additionally, Savannah competes in Cross Country and has led her team to back to back State Championships in 2017 and 2018 and was named to the Clarion Ledger's 2017 All State Cross Country Team. Gracie Ferguson is a senior at D'Iberville High School where she has served as the captain of both her Cross Country and Track teams. She holds the school record at D'Iberville High School for both the 800m run, with a time of 2:20:34, and also the 5K in cross country with a time of 19:27.44. She is the reigning cross country district champion and has been on the Mississippi All State Cross Country Team all four years of high school. She has placed on the podium for the 800m race at the 6A state Track meet in her both her junior (3rd) and sophomore (2nd) years. She has been recognized at the MS Preps Sports Awards by the Clarion Ledger for the past four years. She signed a scholarship to run Cross Country and Track for the University of South Alabama. Jalecia Johnson is a sophomore from Pearl High School and has ran the 4x400m relay, 400m, 800m and is a member of the 4x800m relay School Record Team that ran 10:09. Her personal best is 1:02 in the 400m and 2:31 in the 800m. She was also a member of the 2018 6A Cross Country State Championship Team. Maci Mills is a freshman at Hewitt-Trussville High School. Maci competes in the 400m, 800m, 1600m, 3200m, 4x800m relay and 4x400m relays. She has been on the varsity team since last year in 8th grade. She was part of the All-State 4x800m relay team at the 2018 Outdoor Championships and she qualified for the state meet in the 800m run as an 8th grader. She was All-State in the 800m run at this years' Indoor Track and Field Championships. Maci has personal bests of 2:24.98 and 5:21.83. Maci is very thankful to have been selected to run the 2019 Kaelin Kersh 800m run.